Police respond to the Los Angeles County Department of Children and Family Services office in the 10300 block of Slusher Drive in Santa Fe Springs on Wednesday, Aug. 19, 2015. 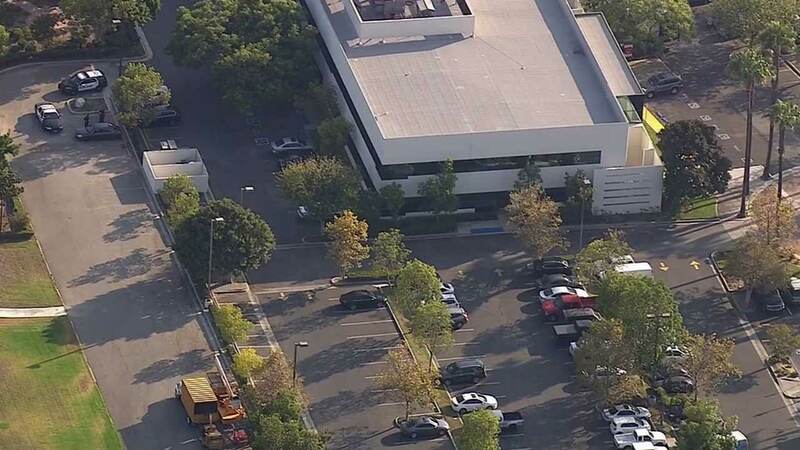 SANTA FE SPRINGS, Calif. -- A social worker with the Los Angeles County Department of Children and Family Services was attacked with acid while exiting a vehicle in Santa Fe Springs. Police responded to the incident in the parking lot of the agency in the 10300 block of Slusher Drive at about 4:25 p.m. The victim was allegedly exiting a vehicle when another car pulled up and someone asked, "Are you a social worker?" The suspect then threw acid at the victim, which got on her arms and clothes. The distraught victim was transported to a local hospital with moderate burns. "Social workers every day are doing a very difficult job, and they're doing their best to protect kids from violent situations. We want the public to understand that we're there to help them and that there's no place for this in our community," DCFS spokesman Neil Zanville said. Investigators were searching for a man and a woman in a blue or gray sedan. Anyone with further information on this attack was asked to call the Whittier Police Department at (562) 567-9270.